Last week, Baker Hughes reported that the U.S. rig count was up 30 rigs to 1,861. Oil rigs were up 24 to 1,534, gas rigs were up seven to 323 and miscellaneous rigs were unchanged at four. 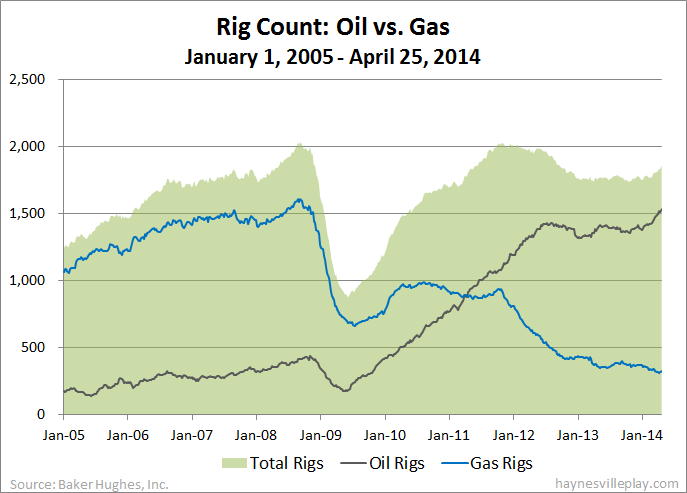 By type, horizontal rigs were up 21 to 1,245, vertical rigs were up seven to 398 and directional rigs were up two to 218. Among gas rigs, horizontal rigs were up five to 238, directional rigs were up one to 55 and vertical rigs were up one to 30. Gas Rig Count: -2 to 316; How Low Can it Go?